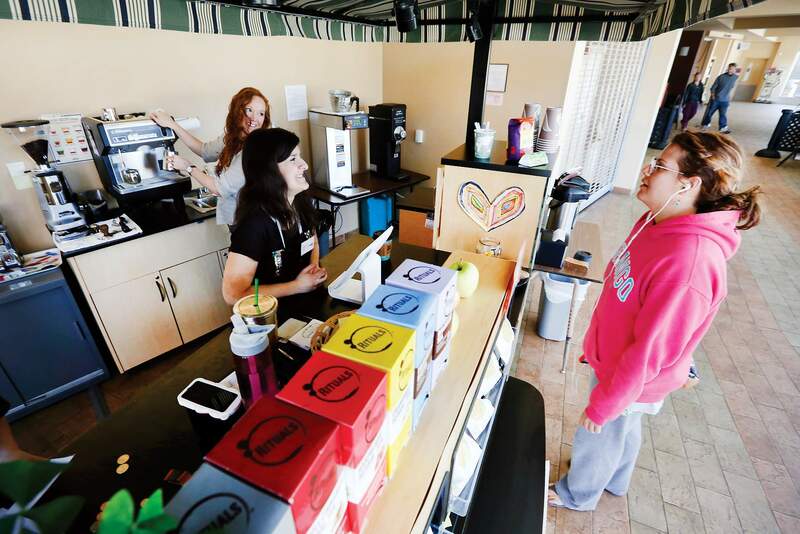 Edie Delin, left, a job councilor and manager of the Common Grounds Cafe, and Kira Valdez, 18, help customer Trisha Serrano at the Durango Public Library in April. The cafe, which is sponsored by Durango School District 9-R’s Pathways to Independence and the San Juan Board of Cooperative Educational Services, probably won’t be affected if 9-R separates from BOCES, but there may be other ramifications. 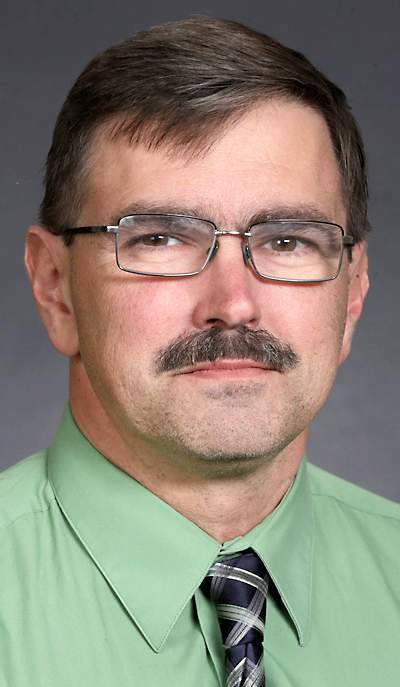 The 9-R board will consider the separation at its meeting Tuesday. The rural school districts in Southwest Colorado have shared resources through the San Juan Board of Cooperative Educational Services for decades, but Durango School District 9-R may decide to go it alone at the school board meeting Tuesday night. Disentangling the two organizations may not be as complex as Brexit, Great Britain exiting the European Union, but it would probably take some time and negotiations. But even the approval of the resolution may not signal a departure. The district has until Sept. 1 to submit its request to the Colorado Department of Education and the Colorado Board of Education. How the resignation of 9-R from the cooperative would affect both the BOCES’ $7.8 million and District 9-R’s $43 million budgets, whether BOCES would have to lay off staff or discontinue programs, how the separation might affect other districts in the cooperative and what becomes of grants BOCES has received to serve the entire nine-member cooperative are questions that have yet to be answered. Adrea Bogle, the new executive director of Exceptional Student Services for San Juan BOCES, asked 9-R to delay the decision, he said, but Snowberger is evaluating all program expenses to see where savings are possible before the district goes to the voters for a $1.7 million tax increase in November. To understand what the departure would mean, it’s important to understand the role of a Board of Cooperative Education Services. They provide educational services to multiple school districts that could not afford them alone or may find it more cost-effective to share staff or services, according to the Colorado BOCES Association. Each BOCES and its districts decide what services the cooperative will offer. In San Juan BOCES’ case, the services include early childhood; gifted education; special education; occupational, physical and speech therapy; language for students with special needs, such as dyslexia; school social workers; school safety; staff professional development; and resources for hearing-impaired students. In addition to Durango, the cooperative’s members include the Bayfield, Ignacio, Archuleta, Dolores, Dolores County, Mancos, Montezuma-Cortez and Silverton school districts. District 9-R is by far the largest district in the cooperative. The district says in the resolution that it has the financial capability, sufficient systems in place and a qualified special education director on staff to internally perform the functions San Juan BOCES has traditionally covered for it. The Durango School District 9-R board meeting will be held at 5:30 p.m. Tuesday in the 9-R Board Room at 201 E. 12th St.